I have the most amazing friends on the planet! I’m pretty sure I should change the name of this blog from “What We’re Eating” to “Ode to Nicole” because she is one of my favorite topics to write about! Why you ask? Because she does awesome things like send this tropical chica heirloom buttermilk culture so that I can properly do some good southern baking. If you’re nice (and in the western Puerto Rico) I’ll share it with you! Since it’s the heirloom variety you can keep the strain alive by adding a small amount of the previous batch to a new container of fresh milk and letting it sit at room temperature for a while. 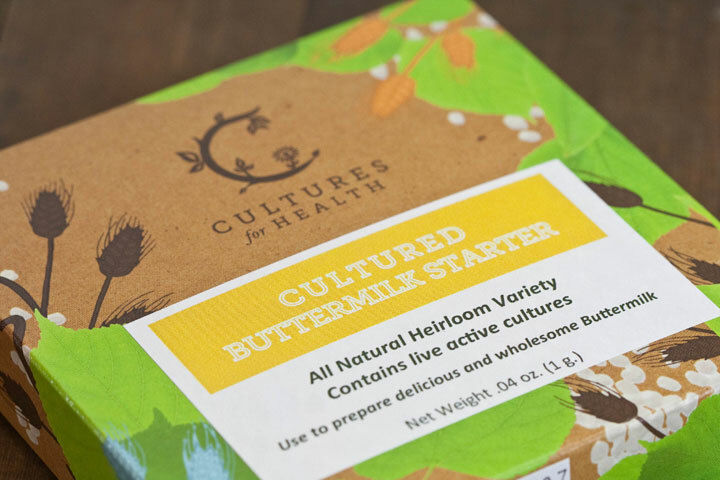 By continuing to make new buttermilk every week you can keep the culture alive indefinitely! Sharing is good. THANK YOU THANK YOU THANK, NICOLE!!!!!!! You are the nicest friend a girl could have! Love you! PS- I’m dead serious about sharing the culture! Holla at me if you want some! Xoxo!